Are you looking forward to making your return to the Truck Series Wednesday at Eldora? Chassis Chatter… The No. 89 ThorSport Racing (TSR) team will unload chassis No. 39 for Wednesday night’s Eldora Dirt Derby at Eldora Speedway. This is the same chassis Abreu raced at the half-mile clay oval in 2016, finishing third. 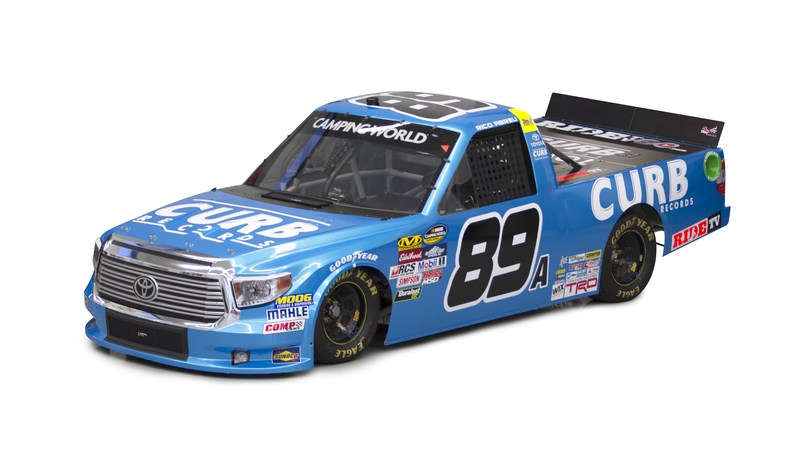 Eldora Dirt… In his debut at Eldora Speedway in the NASCAR Camping World Truck Series (NCWTS), Abreu was eighth in single truck qualifying, lined-up second in Qualifying Race No. 3, and finished sixth, following contact with another competitor. Forced to run the Last Chance Race, Abreu started third, and finished second, earning a 27th-place starting position for the main event. In the 150-lap feature, Abreu ran as high as second, and finished third in the fourth annual event. Reunited and it feels so good… Crew chief Bud Haefele called the shots for Abreu in the last five races of 2016. The duo earned one top-five, at Talladega Superspeedway, and four top-15 finishes. Truck Series Stats… The ThorSport Racing driver will make his 26th NCWTS start on Wednesday at Eldora Speedway. In 25 previous starts, the 25-year-old driver has led one lap en route to two top-five, and five top-10 finishes, including a career-best finish of third at Eldora Speedway. Kings Royal… Abreu raced in the 34th annual Kings Royal at Eldora Speedway July 14-16. The St. Helena, Calif., native finished 13th in the “Joker’s Wild” race on Thursday, 10th in the “Knight Before the Royal” on Friday, and 11th in the 40-lap “Kings Royal” on Saturday, July 16. Dirt Trackin’… Abreu is scheduled to compete in more than 60 dirt track events in 2017, in a 410 winged Sprint Car, 360 winged sprint car, and midget. In the first 50 events, the Curb Records driver has earned five wins, 21 top-five, and 12 top-10 finishes. Notables… Abreu is a two-time Chili Bowl Nationals and USAC Midget Champion, and finished 13th in his rookie NCWTS season in 2016. In 2015, Abreu finished fifth in the NASCAR K&N Pro Series East. Catch Rico at Eldora…Abreu, along with his ThorSport Racing teammates, will participate in the NCWTS autograph session from 3:00-3:45 p.m. on Wednesday, July 19 in the Multipurpose Building, outside Turns 3 and 4 at Eldora Speedway.